Yeppie! 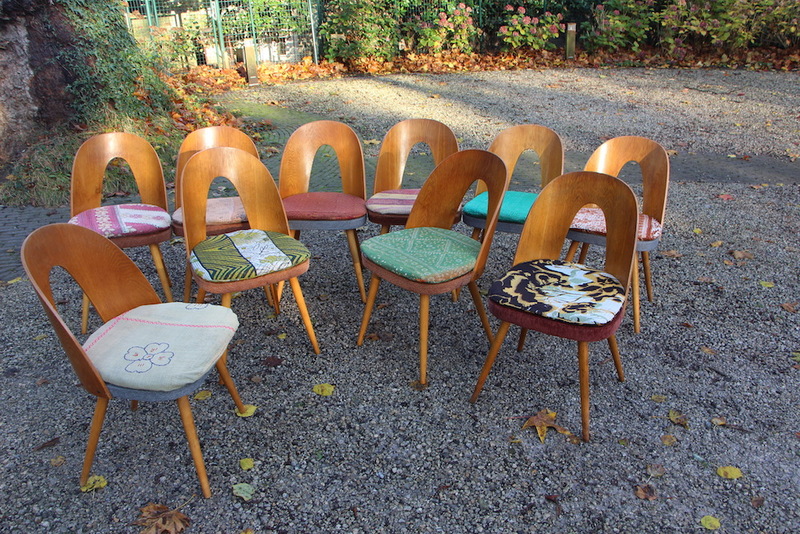 Another set of these fantastic chairs of Antonin Suman, produced by Tatra. 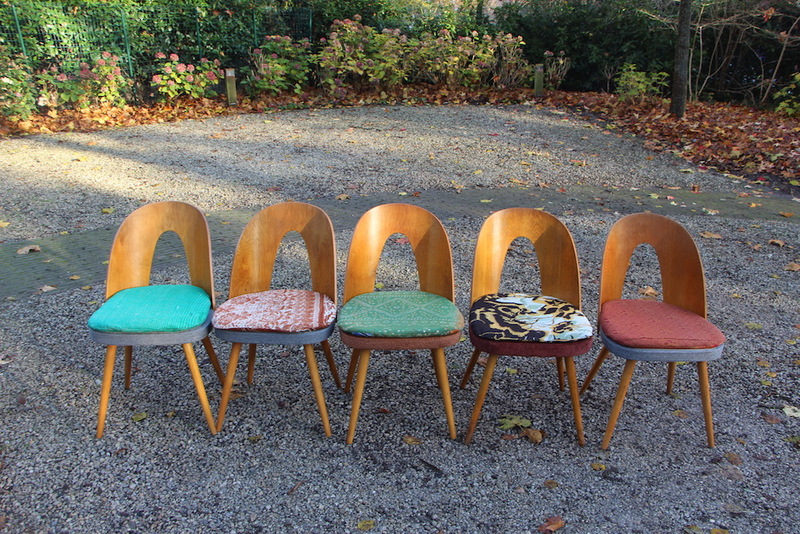 These chairs are now getting really hard to find and a bunch of these is very rare. 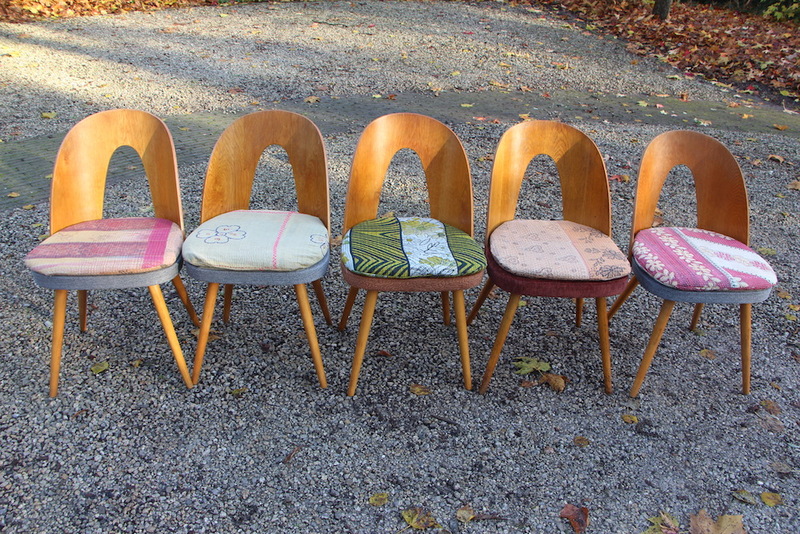 They are all in their original state, untouched, the wood (oak) in the backrest is extra warm and patinated as it's supposed to be after all these years. The seat has been left untouched but I have made new cushions to give them a boho look. They all look different which is very warm and extremely charming. Some of them still have the original sticker underneath the seat. 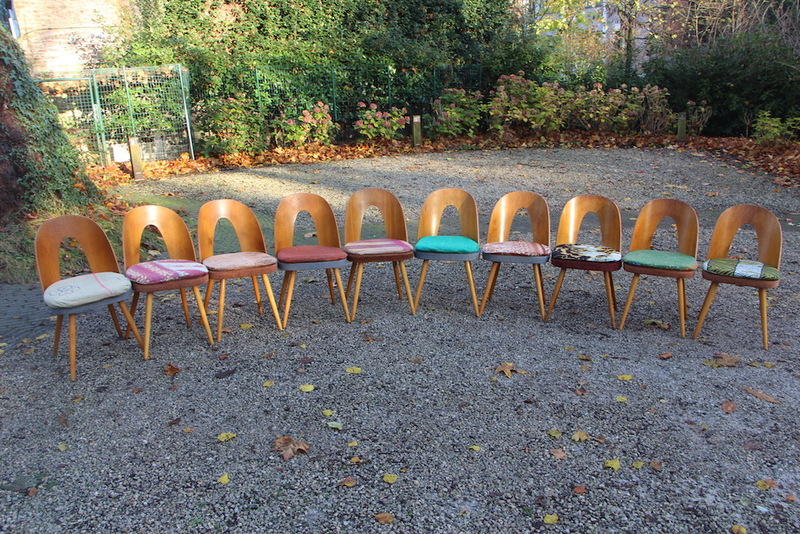 These chairs are not in production anymore.